This year we have had a beautiful and hot summer in the Pacific North West. With all that summer heat you probably haven’t been using your hot tub as much. Well, we’re here to help. Turning your hot tub into a summer time cool tub can be the perfect solution to these hot summers. The best part is, it’s pretty simple to do. Although hot tubs dont have a “cooler” to cool your water, most hot tubs have built in settings to assist you in maintaining temperatures cooler than 100 degrees (farenheit). 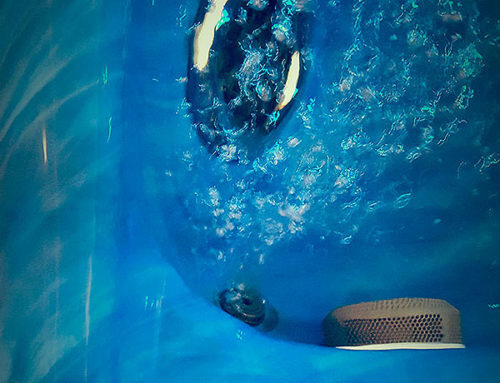 The water in your hot tub doesn’t have to be freezing to use as a “cool tub”. Actually, anything under your body temperature of 98.6°F is going to cool you down even if its only a couple of degrees. 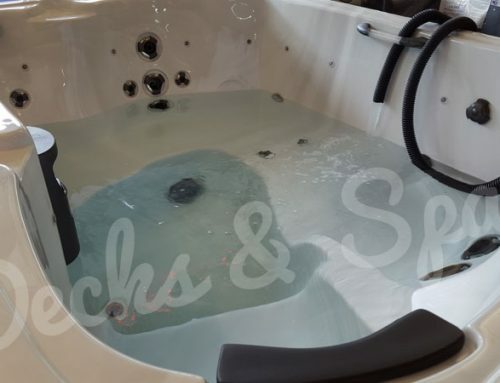 Depending on your hot tub configuration or model, these modes may be named differently but essentially all hot tubs have these standard functions. Sleep Mode is common and shows the code as Sl or Slp. In this mode the temperature will heat up to within 20 degrees farenheit (20°F) of the set temperature but will only attempt to heat during filter cycles. Using Sleep Mode and setting the temperature on your spa to the lowest possible setting will allow your hot tub to continue with filter cycles while keeping your water cool. Some spas manufactured in the midwest have preset Summer mode, these options can be found in the setting on your topside control panel. Referance your owners manual for information on your spa hot tubs available modes. EliteSpas have additional configuration features allowing you to control the Heat, Ready or Rest as well as Temperature Range, High or Low. Using the EliteSpas control panel you can simple change these in settings. Set the Heat to Rest and the Temperature Range to Low. This will reduce temperature and leave the rest of your spas settings the same. On much older hot tubs that do not have a computerized control system, a good option for a cool tub is to completely disable your heater element. Disabling only the heater element and not the hot tub itself will allow you to maintain filter cycles and water flow. When you’re not using your hot tub be sure to keep the spa covered. Use the hot tubs insulation to your advantage and seal it up when not in use. Since water heats much slower than the outside air does, the insulation will maintain its lower temperature. Unlike pools, covered and insulated hot tubs resist absorbing heat from direct sunlight or concrete. When you are using your spa there are a couple tricks to help cool water down. With the cover open you can turn on the air or air jets and circulate cool air into the spa. This is especially effective as the air temperature starts to cool down. Water Treatment is just as important in your cool tub as it is in your hot tub. Continue to your use spa treatment products just as you normally would. Just because the hot tub isn’t hot doesnt mean the chemicals aren’t needed. Escape the summer heat! Enjoy!